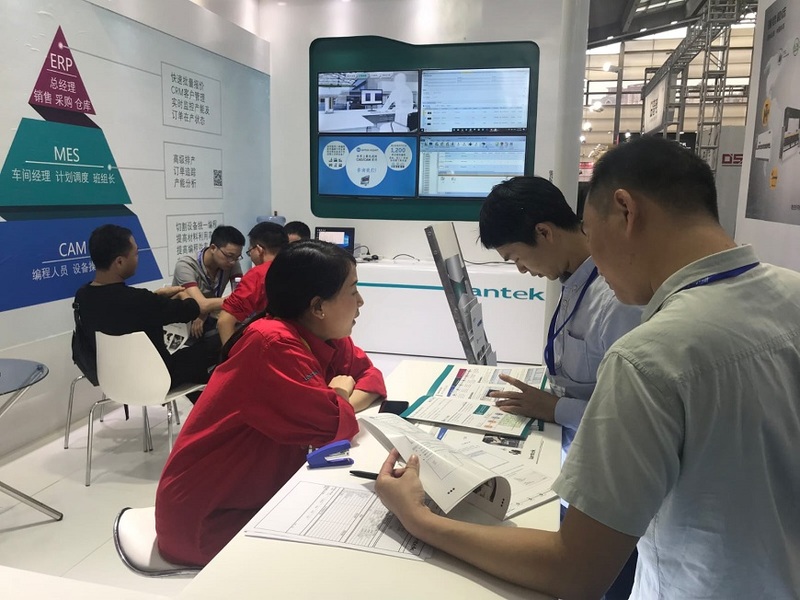 Lantek, multinational focused on the development and sale of software solutions CAD/CAM/MES/ERP and pioneer in the digital transformation of industrial companies, participated as an exhibitor at SIMM 2019, the International Fair of Machinery Manufacturing Industry, which was held between 28 and 31 March in the Chinese city of Shenzhen. Lantek was present at Stand 2Q17. Considered to be largest professional manufacturing event in southern China, SIMM has become the main meeting point for the exchange of ideas on advanced technology and customized manufacturing solutions, where industrial experts can meet the main companies of the sector and first level technical profiles from around the world. From this international intelligent manufacturing ecosystem, detailed advice, services and access to professional Chinese forums are offered to both exhibitors and visitors from all countries. Within this international smart manufacturing ecosystem, detailed advice, services and access to professional Chinese forums are offered to both exhibitors and visitors from any country. "We are living in the era of smart industry. We are facing a radical change in which the transformation of operational flows and the creation of digital human-machine networks, the result of greater automation of processes, and the application of artificial intelligence and machine learning, is an unstoppable reality" explained GenQi Liu, sales manager of Lantek China " At SIMM, we want to show our vision and the latest developments for the metal and sheet metal sector in order to help organisations overcome new challenges and become more competitive on this path towards smart manufacturing." Progress in Cloud Technology, the Internet of Things (IoT) and the Industrial Internet of Things (IIoT), as well as in connectivity in general, all are making it possible to reach levels of flexibility and productive agility that were previously unthinkable. Now, individualized production and logistics and, in turn, connections, are prerequisites to remain competitive. For this, it is necessary to have tools that provide analytical capabilities in real time and allow the extraction of valuable data that facilitate decision making. "Speaking of Smart Factory is not only about automating processes and having smart machines, but it is a modernization phenomenon that covers all the operations and production processes so that they are all connected and perfectly coordinated. It is about making factories able to meet market demands in a more efficient, agile, profitable and sustainable way," emphasised the Lantek executive. In this sense, and in order to make it easier for companies in the metal sector from anywhere in the world to leap into this digitisation and intelligent manufacturing, in SIMM, Lantek presented the latest innovations included in its advanced manufacturing cloud platform, Lantek 360, putting special focus on Lantek Analytics solutions; Lantek MetalShop and Lantek Control Panel. Lantek Analytics: comprehensive solution that analyses both the key performance indicators of the client as well as its manufacturing for proper decision making. The modules are delivered with a set of standard KPIs developed by Lantek in consultation with companies in the sector to cover the vast majority of needs that may arise. However, customers are always able specify additional key performance indicators based on their specific needs, adapting the software to their requirements when necessary. For Lantek Customer Analytics, key performance indicators include the percentage of quotes accepted, the best customers in terms of accepted quotes and margins, the deviation of estimated costs, and the history and location of quotes. The Lantek Analytics KPIs (production analysis) include the availability of equipment, OEE (Overall Efficiency Rate), parts produced, and percentage of compatible parts created during a given period, percentage of raw material not used, inventory status and weight of parts produced. It is a virtual workshop and working method model that is perfectly adapted to each individual analysis. Easy and fast to deploy and manage, Lantek Analytics is designed to be coupled as a plug and play for most companies and does not interrupt manufacturing processes. To further simplify the installation, security and maintenance of the software, it resides in the cloud. This has significant advantages, since it avoids the need for expensive equipment and technical knowledge for its management and maintenance. With Lantek Analytics, companies can track performance in real time and use this information to make decisions about changes in sales strategies, production processes and investments in new equipment. Lantek Metalshop: web interface that allows customers to connect and send budget requests and order online, downloading all information on materials, quantities, delivery dates required, shipping methods and, most importantly, part schematics. This request triggers a series of automated queries in the Lantek software through the iQuote application, such as: cutting times, material cost, inventory levels and applicable margins. The requests addressed to Lantek MES (production management software) verify the production steps already carried out in the workshop and estimate the cutting operations and/or other operations, as well as those processes subcontracted in order to meet the delivery date required. As part of the process, the iQuote application checks the existence of anomalies in the data, such as defective CAD data and zero part weight, creating a user intervention alert so that an engineer can solve the problem with the client. Lantek Control Panel: this is a cloud application (accessible through the Internet) that allows to users see and analyse data in real time, indicating the current status and availability of the machines or their workload, among other features. It also permits alerts and notifications of changes in industrial processes to be received, access updated processes and performance indicators, and offers full visibility of all production processes, as well as order requests or new confirmations in real time. 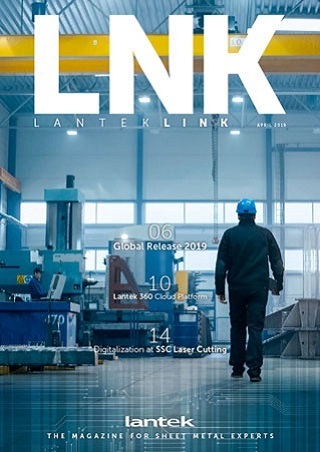 With these developments, Lantek seeks to resolve the problems associated with the production and management process, as well as to eliminate complexities involved with connection and automating processes, providing 360 visibility and control of everything that happens in the plant. SIMM attendees have had the opportunity to learn about innovative manufacturing solutions and access all the resources in the different areas of exposure, from raw materials, to metal cutting machines, molding machines, as well as laser and industrial measuring equipment, tools for cutting and accessories, manufacturing systems for precision components, and much more in an exhibition area of more than 110,000 m2, and in whose last edition featured 1,155 exhibitors and 135,000 visitors.